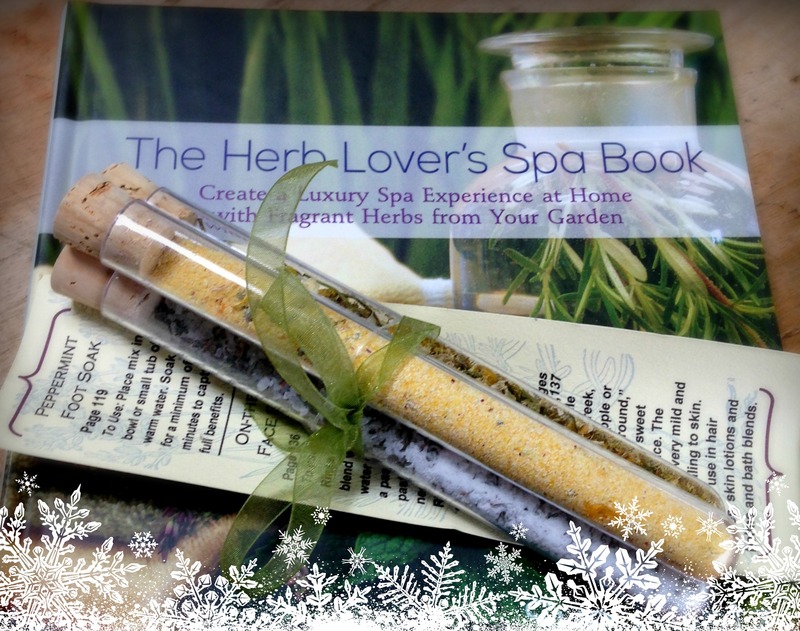 Give the gift of a home spa with herbs from the garden. Fill empty test tubes (perfect for holding a single use batch) or glass jars with dry mixes, add a note and instructions for how to use, relax and enjoy. Now available: Empty Test Tubes: 10 pack for $6 , click here for ordering information. 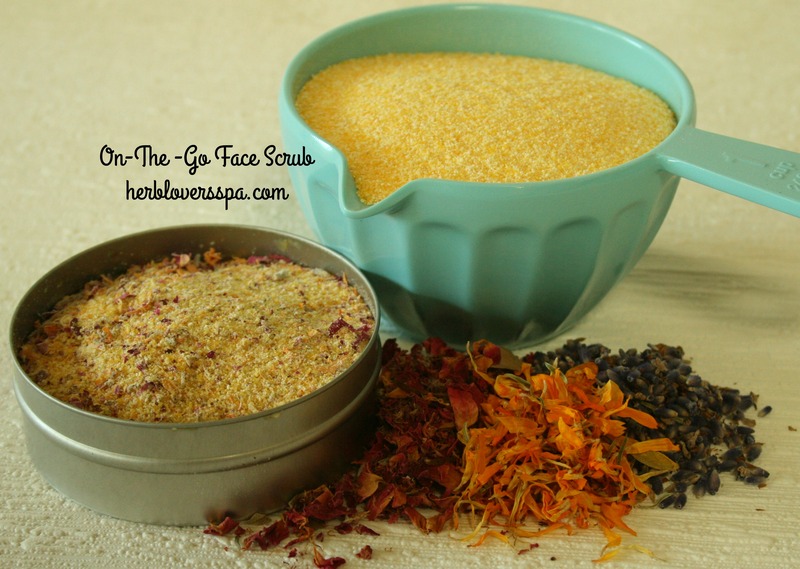 On-The-Go Face Scrub made with roses, lavender, Calendula and cornmeal. Add instructions to mix with plain yogurt for a skin softening facial. 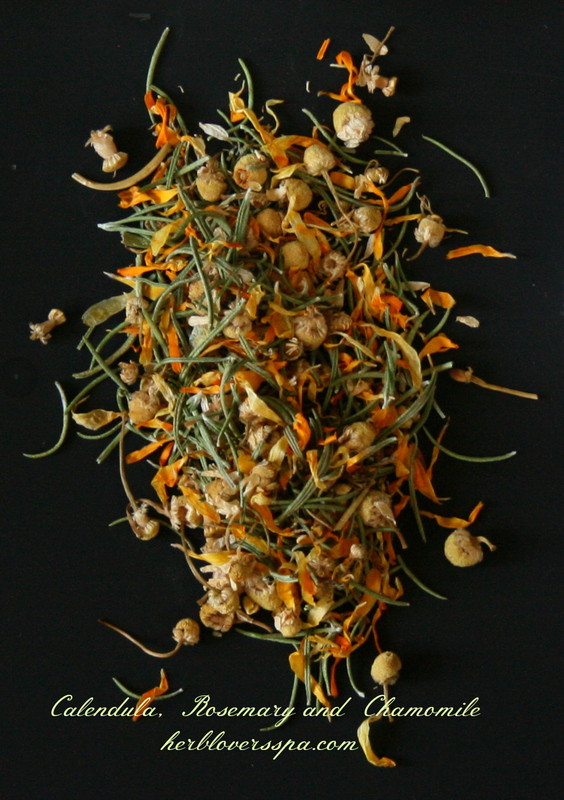 Recipe on page 136 of The Herb lover’ s Spa Book. 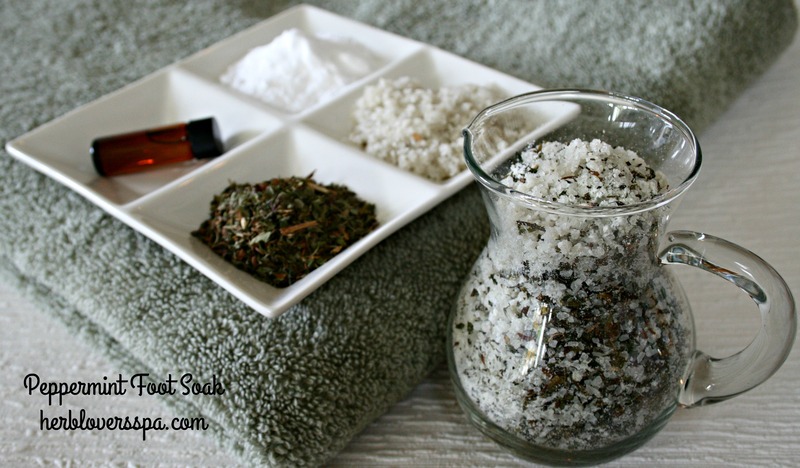 Peppermint Foot Bath, just three simple ingredients sea salt, baking soda and peppermint. Give in a gift set with a new pair of comfy slippers. See page 119 for the recipe and how to use. Oatmeal and Herb Facial Mask, dried rosemary, chamomile, Calendula are ground with a mortar in pestle with whole organic oats make a soothing facial blend. Add instructions to mix with mashed avocado for a super softening facial.